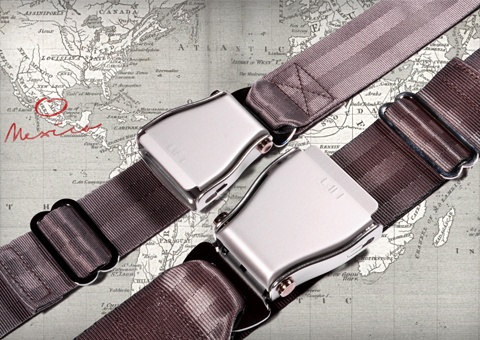 Airline style seat belts redesigned as fashion accessories. Ultimate travelwear apparel, they will fit all your pants. 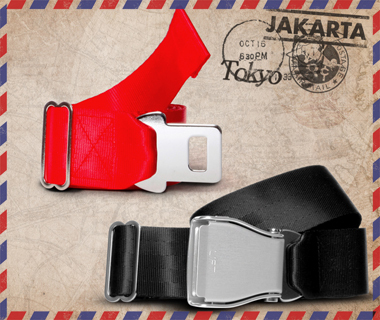 Designed by and for travelers, Fly-Belts allows you to wear an aircraft seat belt.... outside the plane ! Two available width for both buckle and belt's webbing. 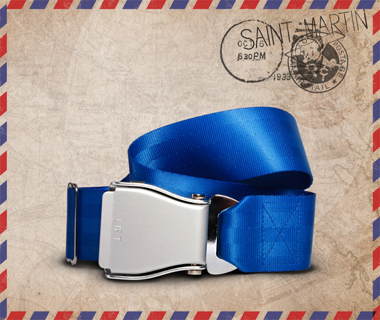 Each color of belt symbolizes a distant and stunning destination. Fly-Belts are adapted aircraft / airline seat belts redesigned as fashion accessories. They will fit all types of pants and jeans. 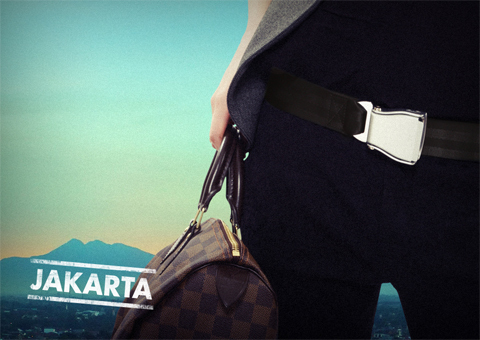 Express & share your frequent flyer experience with this original travelwear ! The concept has been created by a young geek & entrepreneur. Expat in India, frequent flyer and fan of airport halls all around the globe, he has created Fly-Belts, to allow everyone to share their international mind. The order process is simple & easy : no need to create an account. Checkout and pay in one page only. We ship for only 5€ worldwide. FREE in France. Shipment will take between 3 days and 4 weeks, depending on your exact location. Pay with all major debit/credit cards : Visa, American Expres, MasterCard. We use Paypal 100% secured system, no need to create an account. Sit, relax and enjoy the flight. Our cabin crew can assist you at any time during the process of your order. Have a fun flight !